Arizona water ski lessons are generally the place to start learning water sports behind motorized tournament powerboats. We are best known for our private chartered water ski lessons in Arizona; and all-inclusive overnight camps at all lakes in the western states for people of all ages. Children, adults, families, college skiers, business colleges, and vacation groups are welcome to take advantage of various Arizona lakes allowing private water ski lessons, and summer camps! We can create a Arizona water ski lesson package tailored to your boating vacation needs. We even have instructors and trainers who will do traveling clinics in your own water ski boat. You won’t find better conditions for Utah slalom skiing lessons with any other company. 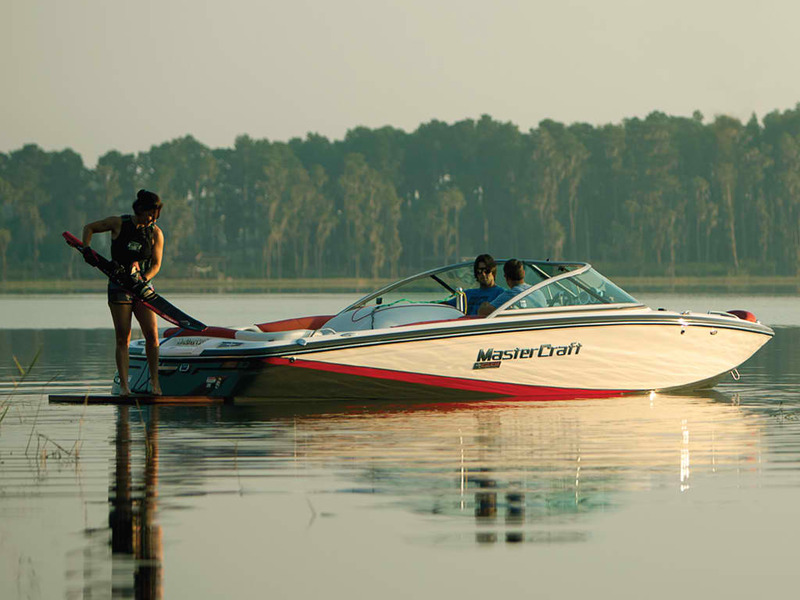 With the type of current model competition water ski boats, HO water skis (Double skis, or Slalom), and skilled instructors you have everything available to improve at water skiing. Some helpful tips before you come out on your first Arizona water ski lessons. Keep your knees slightly bent and together, head up, weight back and arms straight. If you don’t get up the first couple of times, do not get upset at yourself. It takes time to learn how to get up on waterskis and even harder to learn slalom skiing. When you have a young child water skiing have an adult get in the water and hang out with the child to help build their confidence. Help them get their skis pointed forward, and hold the tails of the skis down as the drivers begins the pull. If they are unsuccessful, you are right there to help them get started again. If they get up, great! Just hang out in the water until the boat returns; just have a life vest and orange flag with you! Arizona, Utah, Nevada, California, and New Mexico water ski lesson are offered at any lake: Lake Powell National Recreation Area, Lake Mead, Lake Havasu, Lake Mohave, Lake Pleasant, Alamo Lake, Apache Lake, Bartlett Lake, Canyon Lake, Lake Martinez, Upper Lake Mary, Lahontan Reservoir, Lyman Lake, Lynx Lake, Patagonia Lake, Reservation Lake, Roosevelt Lake, Saguaro Lake, San Carlos Lake, Lake Henshaw, Lake Elsinore, Lake Arrowhead, Silverwood Lake, El Capitain Reservoir, Big Bear Lake, Pyramid Lake, Castaic Lake, Caballo Lake, and Elephant Butte Lake.